Sources of environmental pollution by polycyclic aromatic hydrocarbons have been analyzed, and their optimal molar ratios suitable for the identification of their origin have been determined. Polycyclic aromatic hydrocarbons have been shown to possess indicator properties which make it possible to distinguish compounds of biogenic, petrogenic, and pyrogenic origins. Original Russian Text © I.S. 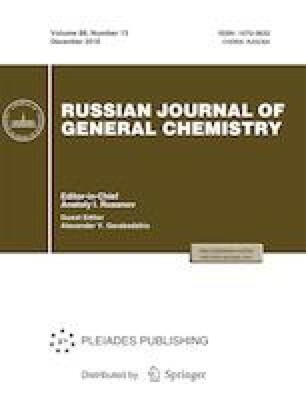 Khalikov, 2018, published in Ekologicheskaya Khimiya, 2018, Vol. 27, No. 2, pp. 76–85.